Wordsworth and the Lakes be damned – it's Farndale that's real 'Daffodil Country', and a walk along the River Dove in spring is one of the North York Moors most celebrated activities. In the few short weeks when the wild flowers bloom, usually from the middle of March, over 40, 000 visitors make their way along the valley on a gentle 1.5-mile stroll past "a host of golden daffodils...fluttering and dancing in the breeze" (Wordsworth got that right at least). The annual show is a stunning one, with carpets of yellow covering every field and riverbank. 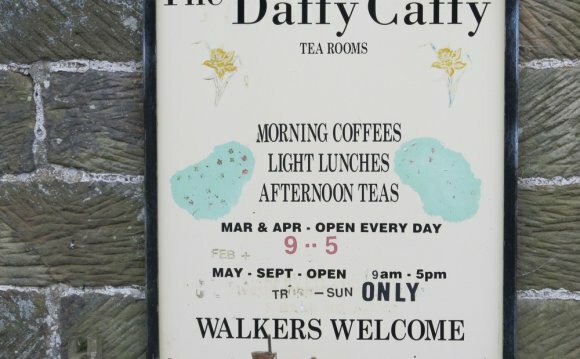 The signposted path starts at Low Mill (there's extra parking here in spring) and runs for a mile or so north along the river to High Mill, where the Daffy Caffy dishes up bacon butties, teas and cakes. Or you can keep going a few hundred yards up the track from the cafe to the hamlet of Church Houses, where's limited parking and a pub, the Feversham Arms. Low Mill is around 5 miles north of Hutton le Hole on a minor road; there's also a park-and-ride Moorsbus service from Hutton le Hole to Low Mill in daffodil season, which is a much better idea than driving into the narrow dale.